Yannis Manolopoulos received his 5-year Diploma degree in Electrical Engineering (1981) and his Doctoral degree (1986) in Computer Engineering from the Aristotle University of Thessaloniki (AUTH). Currently he serves as Vice Rector of the Open University of Cyprus. He has been with the Aristotle University, the University of Cyprus, the University of Maryland at College Park and the University of Toronto. He has served as Rector of the University of Western Macedonia, Head of the Department of Informatics of Aristotle University and Vice-Chair of the Greek Computer Society. His research interest focuses in Data Management. He has co-authored 5 monographs published by Springer, 8 textbooks in Greek, as well as >350 journal and conference papers. He has received >11.000 citations from ~2000 distinct academic institutions (h-index=52). He is proud of his ex 26 Ph.D. graduates, who pursue careers in Greece and abroad: Italy, Netherlands, Germany, Spain, UK (3) and USA. He has also received 5 best paper awards from SIGMOD, ECML/PKDD, MEDES (2) and ISSPIT conferences and has been invited as keynote speaker in 16 international events. He has served as main co-organizer of several major conferences (among others): ADBIS 2002, SSTD 2003, SSDBM 2004, ICEIS 2006, EANN 2007, ICANN 2010, AIAI 2012, WISE 2013, CAISE 2014, MEDI 2015, ICCCI 2016, DAMDID 2016, CBI 2017, TPDL 2017, DASFAA 2018, INISTA 2018, WIMS 2018. His next plans include MEDES 2019 and SOFSEM 2020. He has also acted as evaluator for funding agencies in Austria, Canada, Cyprus, Czech Republic, Estonia, EU, Hong-Kong, Georgia, Greece, Israel, Italy, Lithuania, Poland and Russia. Currently, he serves in the Editorial Boards of (among others) Information Systems, The World Wide Web Journal, The Computer Journal. 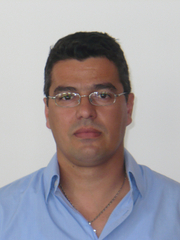 Dr. Dimitrios Tzovaras is a Senior Researcher Grade A’ (Professor) and Director at CERTH/ITI (the Information Technologies Institute of the Centre for Research and Technology Hellas). He received the Diploma in Electrical Engineering and the Ph.D. in 2D and 3D Image Compression from the Aristotle University of Thessaloniki, Greece in 1992 and 1997, respectively. 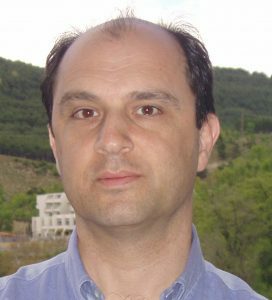 Prior to his current position, he was a Senior Researcher on the Information Processing Laboratory at the Electrical and Computer Engineering Department of the Aristotle University of Thessaloniki. His main research interests include computer vision, robotics, visual analytics, computer security, data fusion, biometric security, virtual reality, machine learning and artificial intelligence. He is author or co-author of over 130 articles in refereed journals and over 400 papers in international conferences. Since 2004, he has been Associate Editor in the following International journals: Journal of Applied Signal Processing (JASP) and Journal on Advances in Multimedia of EURASΙP. Additionally, he was Associate Editor in the IEEE Signal Processing Letters journal (2009-2012) and Senior Associate Editor in the IEEE Signal Processing Letters journal (2012-2016), while since mid-2012 he is also Associate and Senior Associate Editor in the IEEE Transactions on Image Processing journal. 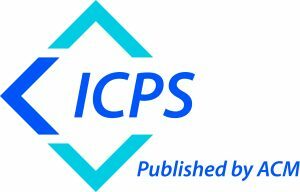 Over the same period, Dr. Tzovaras acted as ad hoc reviewer for a large number of International Journals and Magazines such as IEEE, ACM, Elsevier and EURASIP, as well as International Scientific Conferences (ICIP, EUSIPCO, CVPR, etc.). Since 1992, Dr. Tzovaras has been involved in more than 150 European projects, funded by the EC and the Greek Ministry of Research and Technology. Within these research projects, he has acted as the Scientific Responsible of the research group of CERTH/ITI, but also as the Coordinator and/or the Technical/Scientific Manager of many of them (coordinator of technical manager in 30 projects – 13 H2020, 1 FP7 ICT IP, 7 FP7 ICT STREP, 3 FP6 IST STREP and 6 Nationally funded project).